Get an RSVP in to Band Pro early if you want a chance to have a little hands on time with Sony’s intriguing new NXCAM at the open house this coming Wednesday, January 27th. 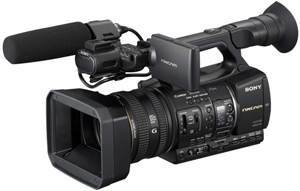 Also on tap: the new SRW-9000 CineAlta camcorder, the latest EX cameras (the shoulder-mount PMW-350 and the EX1R), the new BVM-L231 evaluation monitor, and more. Band Pro’s Jeff Cree and Sony’s Juan Martinez are among the tech guys in attendance who can answer your questions.